1. Zhong C, Sun S, Yao L, Ding J, Duan C, Zhu Z*. Fine mapping and identification of a novel Phytophthora root rot resistance locus RpsZS18 on chromosome 2 in soybean. Frontiers in Plant Science, 2018, 9:44. 2. Zhong C, Sun S, Li Y, Duan C, Zhu Z*. Next‑generation sequencing to identify candidate genes and develop diagnostic markers for a novel Phytophthora resistance gene, RpsHC18, in soybean. Theoretical and Applied Genetics, 2018, 131:525–538. 3. Li Y, Sun S, Zhong C, Wang X, Wu X, Zhu Z*. Genetic mapping and development of co-segregating markers of RpsQ, which provides resistance to Phytophthora sojae in soybean. Theoretical and Applied Genetics, 2017, 130(6):1223-1233. 4. Sun S, Zhi Y, Zhu Z*, Jin J, Duan C, Wu X, Wang X. An emerging disease caused by Pseudomonas syringae pv. phaseolicola threatens mung bean production in China. Plant Disease, 2017, 101(1): 95-102. 5. Li Y, Sun S, Zhong C, Zhu Z*. Detached-petiole inoculation method to evaluate Phytophthora root rot resistance in soybean plants. Crop & Pasture Science, 2017, 68（7）: 555–560. 6. Sun S, Deng D, Wang Z, Duan C, Wu X, Wang X, Zong X, Zhu, Z*. (2016). A novel er1 allele and the development and validation of its functional marker for breeding pea (Pisum sativum L.) resistance to powdery mildew. Theoretical and Applied Genetics, 2016,129(5):909-919. 7. Sun S, Fu H, Wang Z, Duan C, Zong X, Zhu Z*. Discovery of a novel er1 allele conferring powdery mildew resistance in Chinese pea (Pisum sativum L.) landraces. PLoS ONE, 2016, 11(1): e0147624. 8. Zhang J, Xia C, Wang X, Duan C, Sun S, Wu X, Zhu Z*. Genetic characterization and fine mapping of the novel Phytophthora resistance gene in a Chinese soybean cultivar. Theoretical and Applied Genetics, 2013, 126(6):1555-1561. 9. Zhang J, Xia C, Duan C, Sun S, Wang W, Wu X, Zhu Z*. Identification and candidate gene analysis of a novel Phytophthora resistance gene Rps10 in a Chinese soybean cultivar. PLoS ONE, 2013, 8(7): e69799. 10. Duan C X, Li D D, Sun S L, Wang X M, Zhu Z D*. Rapid development of microsatellite markers for Callosobruchus chinensis using Illumina paired-end sequencing. PLoS ONE, 2014, 9(5): e95458. 11. Xue R F, Wu J, Wang L F, Blair M W, Wang X M, Ge W D, Zhu Z D*, Wang S M*. Salicylic acid enhances resistance to Fusarium oxysporum f. sp. phaseoli in common beans (Phaseolus vulgaris L.). Journal of Plant Growth Regulation, 2014, 33(2):470-476. 12. Zhang J, Sun S, Wang G, Duan C, Wang X, Wu X, Zhu Z*. Characterization of Phytophthora resistance in soybean cultivars/lines bred in Henan province. Euphytica, 2014, 196:375-384. 13. Li Y, Sun S, Du C, Xu C, Zhang J, Duan C, Zhu, Z*. A new disease of mung bean caused by Botrytis cinerea. Crop Protection, 2016, 85:52-56. 14. Sun S, Wang X, Zhu Z*, Wang B, Wang M. (2016). Occurrence of charcoal rot caused by Macrophomina phaseolina, an emerging disease of adzuki bean in China. Journal of Phytopathology, 2016, 164(3):212–216. 15. Sun S L, Xia C J, Zhang J Q, Duan C X, Wang X M, Wu X F, Zhu, Z D*. Stem rot on adzuki bean (Vigna angularis) caused by Rhizoctonia solani AG4 HGI in China. The Plant Pathology Journal, 2015, 31(1):67-71. 16. Sun S L, Zhu Z D, Xu D X. Occurrence of Ascochyta blight caused by Ascochyta rabiei on chickpea in North China. Plant Disease, 2016, 100(7):1494. 17. Duan C, Zhu Z, Li W, Bao S, Wang X. Genetic diversity and differentiation of Acanthoscelides obtectus Say (Coleoptera: Bruchidae) populations in China. Agricultural and Forest Entomology, 2017, 19(2), 113-121. 18. Duan C X，Zhu Z D, Ren G X，Wang, X M，Li D D. Resistance of faba bean and pea germplasm to Callosobruchus chinensis (Coleoptera: Bruchidae) and its relationship with quality components. Journal of Economic Entomology, 2014, 107（5）:1992-1999. 19. Xue R, Wu J, Zhu Z, Wang L, Wang X, Wang S，Blair M W. Differentially expressed genes in resistant and susceptible common bean(Phaseolus vulgaris L.) genotypes in response to Fusarium oxysporum f. sp. phaseoli. PLoS ONE, 2015, 10(6): e0127698. 20. Sun F F, Sun S L, Zhu Z D. Occurrence of Verticillium wilt caused by Verticillium dahlia on mung bean in northern China. Plant Disease, 2016, 100(8):1792. 21. Duan C X, Li W C, Zhu Z D, Li D D, Sun S L, Wang X M. Genetic differentiation and diversity of Callosobruchus chinensis collections from China. Bulletin of Entomological Research, 2016, 106:124-134. 22. Xue R F,Wu J, Chen M L, Zhu Z D, Wang L F, Wang X M, Blair M W, Wang S M. Cloning and characterization of a novel secretory root expressed peroxidase gene from common bean (Phaseolus vulgaris L.) infected with Fusarium oxysporum f. sp. phaseoli. Molecular Breeding, 2014, 34（3）：855-870. 23. Song F J, Xiao M G, Duan C X, Li H J, Zhu Z D, Liu B T, Sun S L, Wu X F, Wang X. M. Two genes conferring resistance to Pythium stalk rot in maize inbred line Qi319. Molecular genetics and genomics. 2015, 290(4):1543-1549. 24. Chen M, Wu J, Wang L, Mantri N, Zhang X, Zhu Z, Wang S. Mapping and genetic structure analysis of the anthracnose resistance locus Co-1HY in the common bean (Phaseolus vulgaris L.). PloS one, 2017, 12(1), e0169954. 25. Duan C , Qin Z, Yang Z, Li W, Sun S, Zhu Z, Wang X. Identification of pathogenic Fusarium spp. causing maize ear rot and potential mycotoxin production in China. Toxins, 2016, 8(6), 186. 26. Sun S L, Kim M Y, Van K, Lee L Y, Zhong C, Zhu Z D,Lee Y W, Lee S H. First report of Neocosmospora vasinfecta var. vasinfecta causing soybean stem rot in South Korea. Plant Disease, 2014, 98(12):1744. 27. Ma Y, Clarice J. Coyne C J, Main D, Pavan S, Sun S, Zhu Z, Zong X, José Leitão J, McGee R J. Development and validation of breeder-friendly KASPar markers for er1, a powdery mildew resistance gene in pea (Pisum sativum L.). Molecular Breeding, 2017, 37:151 . 28. Cai B, Kong X, Zhong C, Sun S, Zhou X F, Jin Y H, Wang Y N, Li X, Zhu Z D, Jin J B. SUMO E3 Ligases GmSIZ1a and GmSIZ1b regulate vegetative growth in soybean. Journal of Integrative Plant Biology, 2017, 59(1):2-14. 29. Sun S L, He Y H, Dai C, Duan C X, Zhu Z D*. Two major er1 alleles confer powdery mildew resistance in three pea cultivars bred in Yunnan Province, China. The Crop Journal, 2016, 4:353-359. 30. Sun S, Wang Z, Fu H, Duan C, Wang X, Zhu, Z*. Resistance to powdery mildew in the pea cultivar Xucai 1 is conferred by the gene er1. The Crop Journal，2015, 3(6): 489–499. 31. 王仲怡, 付海宁, 孙素丽, 段灿星, 武小菲, 杨晓明, 朱振东*. 豌豆品系X9002 抗白粉病基因鉴定. 作物学报, 2015, 41(4): 515-523. 32. 朱琳, 孙素丽, 孙菲菲, 段灿星, 朱振东*. 绿豆尖镰孢枯萎病抗性鉴定方法. 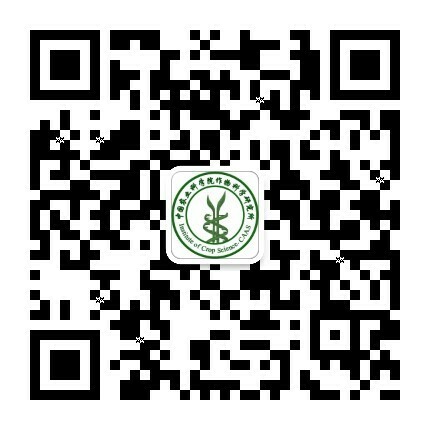 植物遗传资源学报, 2017,18(4):696-703. 34. 黄燕, 朱振东*, 段灿星, 武小菲, 东方阳. 灰葡萄孢蚕豆分离物的遗传多样性. 中国农业科学, 2014, 47(12):2335-2347. 35. 向妮, 段灿星, 肖炎农, 宗绪晓, 朱振东*. 豌豆资源抗镰孢根腐病鉴定. 植物保护, 2014, 40(1):162-164. 36. 支叶, 段灿星, 孙素丽, 王晓鸣, 朱振东*. 小豆锈病病原菌鉴定. 植物病理学报, 2014, 44(6):581-585. 37. 付海宁, 孙素丽, 朱振东*, 段灿星, 杨晓明*. 加拿大豌豆品种(系)抗白粉病表型和基因型鉴定. 植物遗传资源学报, 2014, 15(5):1028-1033. 38. 支叶, 孙菲菲, 孙素丽, 段灿星, 朱振东*. 黑龙江省大豆根腐病菌锐顶镰孢鉴定. 中国油料作物学报, 2014, 36（6）:789-793. 39. 徐新新, 陈泓宇, 王述民, 段灿星, 王晓鸣, 朱振东*. 菜豆种子普通细菌性疫病菌检测. 植物病理学报, 2013, 43 (1): 11-19. 40. 段灿星, 张吉清, 丁俊杰, 王晓鸣，朱振东*. 大豆茎褐腐病病原菌鉴定. 中国油料作物学报, 2013, 35(2):196-120. 41. 王仲怡, 包世英, 段灿星, 宗绪晓, 朱振东*. 豌豆抗白粉病资源筛选及分子鉴定. 作物学报, 2013, 39(6): 1030-1038. 42. 张吉清, 张学雷, 肖炎农, 王晓鸣, 朱振东*. 黑龙江省大豆菌核病菌生长特性及菌丝体亲和型测定. 中国油料作物学报, 2013, 35(3):307-312. 43. 段灿星，朱振东*, 孙素丽, 王晓鸣. 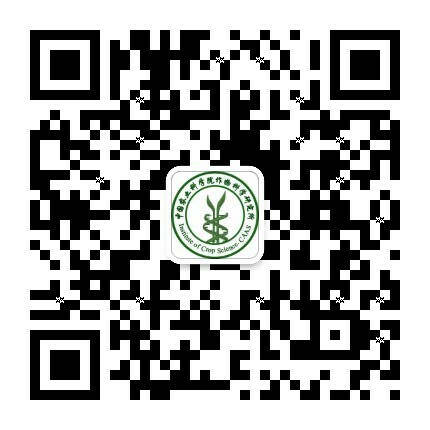 中国食用豆抗性育种研究进展. 中国农业科学, 2013, 46(22):4633-4645. 44. 薛仁风, 武晶, 朱振东, 王兰芬, 王晓鸣, 葛维德, 王述民. 水杨酸诱导普通菜豆镰孢菌枯萎病抗病性的研究. 植物遗传资源学报, 2014, 15(5) :1138-1143. 45. Duan C, Yu J, Bai J, Zhu Z, Wang X. Induced defense responses in rice plants against small brown planthopper infestation. The Crop Journal, 2014, 1(2):55-62. 46. 朱吉风，武晶，王兰芬，朱振东，王述民. 菜豆种质资源抗普通细菌性疫病鉴定. 植物遗传资源学报, 2015, 16(3):467-471. 47. 段灿星, 彭高松, 王晓鸣, 朱振东. 抗感水稻品种受灰飞虱为害后的生理反应差异. 应用昆虫学报, 2013, 50(1), 145-153. 48. Zhu J, Wu J, Wang L, Blair M W, Zhu Z, Wang S. QTL and candidate genes associated with common bacterial blight resistance in the common bean cultivar Longyundou 5 from China. The Crop Journal, 2016, 4:344-352. 49. 段灿星，王晓鸣, 宋凤景，孙素丽, 周丹妮, 朱振东. 玉米抗穗腐病研究进展. 中国农业科学 2015, 48(11):2152-2164. 50. 郭云燕，陈茂功, 孙素丽, 武小菲, 江凯, 朱振东, 李洪杰, 王晓鸣. 中国玉米南方锈病病原菌遗传多样性. 中国农业科学, 2013, 46(21):4523-4533. 51. 段灿星, 王晓鸣, 武小菲, 杨知还, 宋凤景, 赵立萍, 孙素丽, 朱振东. 玉米种质和新品种对腐霉茎腐病和镰孢穗腐病的抗性分析. 植物遗传资源学报, 2015, 16（5）:947-954.